ORCID, which stands for “Open Researcher and Contributor Identifier,” provides individuals with a free, unique, persistent identifier that serves to distinguish individuals from each other and accurately connect individuals with their contributions and affiliated organizations over the course of their career, despite changes in name, occupation, location, and other variables. Anyone may register for their own ORCID iD for free at https://orcid.org to obtain a unique 16-digit number in the form of a URL that links to an ORCID record, where information about employment, education, works, funding, and other activities can be recorded and ultimately used to transfer data during funding, publishing, and research reporting workflows. 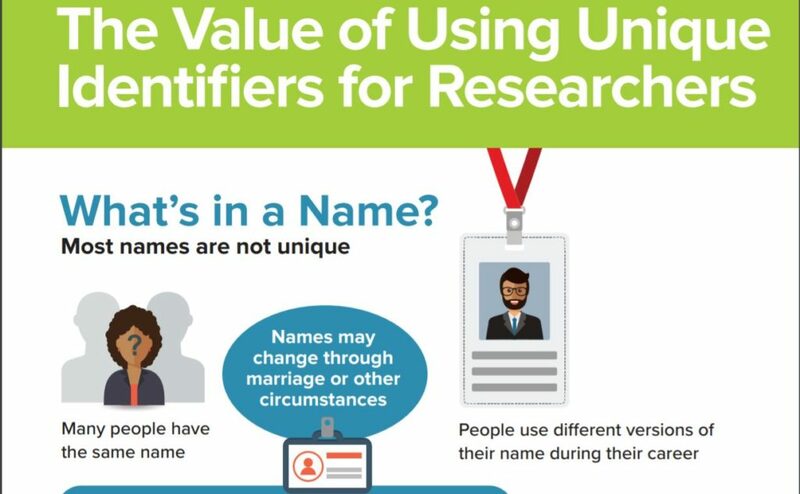 An excerpt from the Nov. 2018 IDC ORCID infographic shows the need for name disambiguation for researchers. The value of ORCID as a unique persistent identifier for individuals is best summarized and communicated in an infographic from the International Data Corporation (IDC): “The Value of Using Unique Identifiers for Researchers.” The infographic depicts at a glance how ORCID works and why it’s important, including evidence of institutional value and the time that institutions and researchers have saved by using ORCID as a central, interoperable mechanism for tracking and reporting researcher activity across systems and workflows in the research and scholarly communication ecosystem. 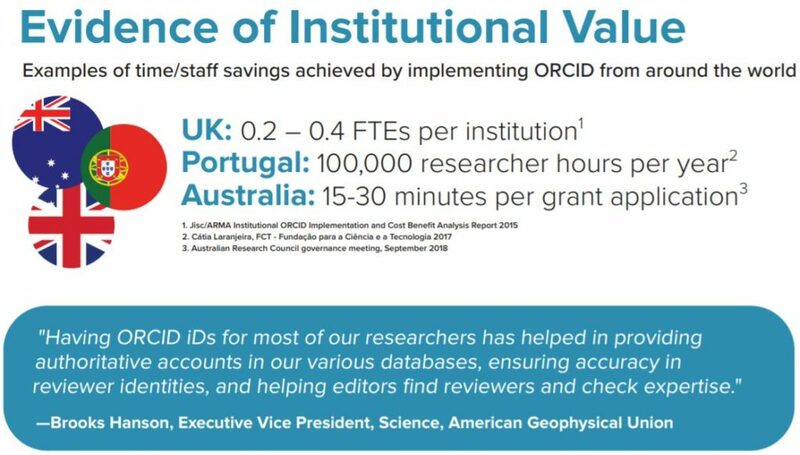 An excerpt from the Nov. 2018 IDC ORCID infographic shows time saved by institutions and researchers using ORCID. ORCID is part of a wider landscape of persistent identifiers (PIDs) that serve to improve accuracy in research workflows and communication, such as Digital Object Identifiers (DOIs) for works and International Standard Name Identifiers (ISNIs) for institution names. 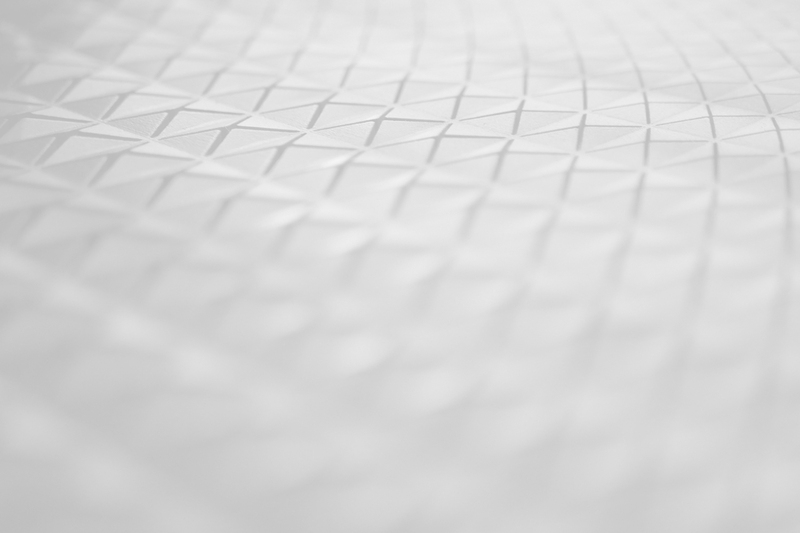 A recent article titled “Persistent identifiers: the building blocks of the research information infrastructure,” by Alice Meadows, Laurel Haak, and Josh Brown of the ORCID organization concisely describes the importance of PIDs especially in the realm of research, innovation, and scholarly communication. Research institutions across the United States are steadily adopting ORCID and supporting the ORCID initiative as members of the ORCID US Community, led by LYRASIS, in partnership with the Big Ten Academic Alliance (BTAA), NorthEast Research Libraries (NERL), and Greater Western Library Alliance (GWLA). Established in 2018 to foster ORCID adoption and build a community of practice around ORCID in the US, the ORCID US Community currently includes 112 member institutions. For more information about the ORCID US Community, visit http://orcid-us.org or contact orcidus@lyrasis.org.